Should You Be an Undercover Boss? 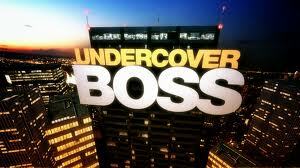 Do You Know How To Be An Undercover Boss? If you manage or supervise large numbers of employees or have several layers of management between you and your front line workers, the benefits of being an undercover boss have shown to be very useful. In the CBS hit show, Undercover Boss, CEO’s get down and dirty with their employees to see what is really happening on the front lines. But what if you are the only manager or supervisor, then going undercover is pointless since all the front line workers know exactly who you are. Can you still do something to connect with your workers and determine what is happening at the basic levels of the organization? How Can I Go Undercover When They Know Who I Am? While it may a little more difficult than walking in with a dorky disguise and a dumbed down intellect, there a number of ways you can tackle the process and determine if you have problems like theft, motivation, or training lurking out there. Sounds simple enough, but how many managers or supervisors take the time to talk to the employees under them and find out information about their lives. Learning what is happening in their lives can give you valuable insight into how the person is being affected or is going to be affected by workloads or changes in procedures, for example. Connecting to people in this way not only shows that you care about them, but can give you an opportunity to establish a level of trust and gain allies that will benefit you as you seek to improve productivity. Finding ways to connect to those that you manage can establish stronger relationships. 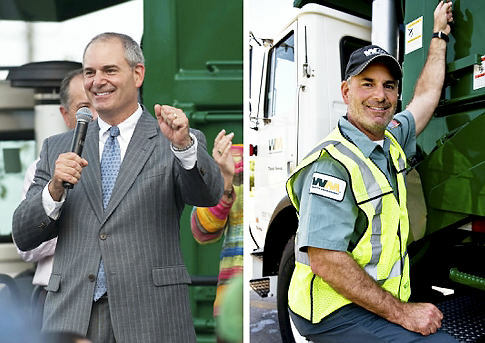 If you need to get down and dirty with them, just like they do in the Undercover Boss series, then do it. Showing people that you are willing to pitch in and help when needed establishes you as a person that is one of them. While you can still maintain an authoritative managerial line, working side by side with the people you are responsible for helps to bridge the gap from employee to manager. The connection is made stronger and potential problems are easier to deal with as workers are less afraid of management. While employing the previous two tactics, observing their responses and their interactions with other employees will give you valuable insight into many areas. Since most workers are naturally scared of talking to management, it can be difficult to find out if there are potential problems lurking on the shop floor. Standing back and quietly observing how people interact with each other, how they help or don’t help each other, and seeing what kind of work ethic they have will give information on how to go about changing or encouraging them. You can see if people are being trained correctly or are not following company procedures. Perhaps someone has decided to ignore the correct procedure and is performing a new procedure they invented. Is it more efficient or a potential safety hazard? Is there an opportunity for praise and employee recognition or an opportunity to revisit your training program? Just simple quiet observation can reveal a lot and give some opportunities for improvement. It may help you identify your top workers and their potential for moving into management, or identifying your worst performers and what effect they have on the other workers. You may not be able to be an undercover boss in the truest sense of the word, but you can be a better boss by understanding your worker’s lives and work habits.